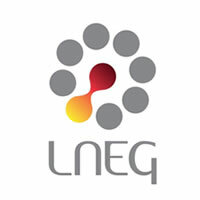 O Laboratório Nacional de Energia e Geologia (LNEG) é uma instituição de I&D orientada para responder às necessidades da sociedade e das empresas. Apostando numa investigação sustentável e para a sustentabilidade através da geração do conhecimento em Portugal. Lopes, Vitor V.; Rangel, C. M.; Novais, Augusto Q. This paper proposes a new approach to determine the distribution of relaxation times (DRT) directly from the electro-chemical impedance spectroscopy (EIS) data, i.e. without the use of an equivalent electrical circuit model. The method uses a generalized fractional-order Laguerre basis to represent EIS where both the parameters of the basis and their co-efficients are estimated by solving a nonconvex minimization problem. Furthermore, the DRT confidence region is de-termined to assess the accuracy and precision of the DRT estimate. The approach is applied to analyze the dominant dynamic properties of an open-cathode hydrogen fuel-cell under different current and air-flow conditions. Results showed that the estimated DRT closely reconstructs EIS data even when there is a higher variance at smaller relaxation times. Falcão, D. S.; Rangel, C. M.; Pinto, A. M. F. R.
The Direct Methanol Fuel Cell (DMFC) has attracted much attention due to its potential applications as a power source for transportation and portable electronic devices. Based on the advantages of the scaling laws, miniaturization promises higher efficiency and performance of power generating devices and the MicroDMFC is therefore an emergent technology. In this work, a set of experiences with a MicroDMFC of 2.25 cm2 active area are performed in order to investigate the effect of important operating parameters. Maximum power density achieved was 32.6 mW/cm2 using 4M mehanol concentration at room temperature. Polarization curves are compared with mathematical model simulations in order to achieve a better understanding of how parameters affect performance. The one-dimensional model used in this work takes in account coupled heat and mass transfer, along with the electrochemical reactions occurring in a direct methanol fuel cell and was already developed and validated for DMFC in previous work [1-3]. The model is also used to predict some important parameters to analyze fuel cell performance, such as water transport coefficient and methanol crossover. This easy to implement simplified model is suitable for use in real-time MicroDMFC simulations. Paiva, T. I.; Hashimoto, T.; Plancha, Maria João; Thompson, G. E.; Rangel, C. M.
In this work, the effect of chloride as a catalyst contaminant was studied on the performance and durability of a low power open-cathode fuel cell, intended for passive management of water. In an ex-situ study, cyclic voltammetry was used to assess the redox behaviour of platinum in chloride contaminated solutions at room temperature.The cell was operated integrating a range of relative humidity (RH) from ~30 to 80% and temperatures from 5 to 55 ºC. Results indicated that 60% RH is associated to maximum fuel cell performance over the studied temperature range. An examination of the fuel cell components after 100 h of operation revealed that chloride contamination has produced cathode failure associated to catalyst migration favored by operation conditions that allowed platinum particles to break free from their carbon backing and migrate toward the polymer electrolyte. Migration resulted in precipitation with larger mean particle size distribution within the solid electrolyte when compared to the original catalyst layer, rendering a very significant loss of thickness in the cathode material. Silva, R. A.; Soares, C. O.; Carvalho, M. D.; Jorge, M. E. Melo; Gomes, A.; Pereira, M. I. da Silva; Rangel, C. M.
Esteves, M. Alexandra; Sá, A. I. Correia de; Rangel, C. M.
Ionic liquid (IL) functionalized carbon supported nanocatalysts, including platinum-ruthenium catalysts, have been under investigation to achieve better catalytic performance on polymer electrolyte membrane fuel cells. Ionic liquids have particular physical properties, which usually improve the stabillity and dispersion of metal nanosized particles, providing an increase of the electrochemical active surface area. In this work, the synthesis and the electrochemical behaviour of two new ionic liquid functionalizated carbon supported Pt-Ru nanocatalysts is investigated regarding the methanol oxidation reaction. Preliminary obtained results show that IL functionalization of carbon can produce supported catalysts with improved performances depending on the ionic liquid and on the reduction process used to produce the catalyst nanosized particles. Capelo, Anabela; Esteves, M. Alexandra; Sá, A. I. Correia de; Rangel, C. M.
Preliminary results are presented for Pt deposited on 4-aminobenzenesulphonic acid-functionalized carbon, Pt/C_ABSA. Vulcan XC-72R was functionalized with the objective of influencing the dispersion of catalyst nanoparticles and to decrease the resistance of three phase boundaries, by introducing sulphonic groups. Electrochemical characterization of the supported catalyst was done in a 0.5 M sulphuric acid solution with added chloride and also using methanol demonstrating well defined features and stable voltammograms after 30 cycles, with apparent higher currents when compared with commercial catalyst. The structure sensitive adsorption of anions on platinum is confirmed by the blocking effect of chloride ions in the hydrogen adsorption-desorption region as well as by the consequent dissolution of platinum, evident in both anodic and cathodic features of the voltammograms regarding surface oxide formation and reduction. The partial reversibility of the effect of chloride ions is discussed. Research is in progress in order to accomplish a comprenhensive characterization of the synthesized catalyst and to ascertain the effect of the sulphonic groups. Retnamma, Rajasree; Rangel, C. M.; Novais, Augusto Q.; Matthews, Michael A.
Liquid-phase catalytic hydrolysis of sodium borohydride (NaBH4) for hydrogen production necessitates long-term stability of base-stabilized NaBH4 solutions at higher temperatures. The present paper reports the kinetics of aqueous-basic solutions containing 20 wt% NaBH4 with 1-15 wt% sodium hydroxide (NaOH) at 80 0C. The established kinetic model employs a modified isoconversional method assuming single-step kinetics. The estimation of kinetic parameters is performed by gPROMS (general PRocess Modeling System) parameter estimation tool. The reaction kinetics differs from low to highly-concentrated NaOH solutions. In highly-basic (.10 wt% NaOH), aqueous solutions of NaBH4, the rate is independent of NaOH concentration, while for lower-basic (< 10 wt% NaOH) solutions, the dependence is -0.57, confirming the inhibition of hydrolysis kinetics by NaOH. Sousa, T.; Rangel, C. M.
A two-dimensional, non-isothermal, and dynamic model was developed to describe a sodium borohydride/hydrogen re-actor for stationary use. All relevant transport phenomena were treated in detail and the kinetic model developed previ-ously by the authors was introduced into the algorithm. In this paper the reactive solution was modeled as a two phase flow; with this approach the impact of the hydrogen production on the solution stirring could be observed and quantified. Results showed that not all ruthenium deposited on the nickel foam was used efficiently as catalyst. In fact, most of the reaction occurred in the surface of the catalyst foam and around 70% of the deposited catalyst was not used. It was also demonstrated the importance of the two phase flow approach for a correct simulation of the solution stirring and heat transfer. Pardal, T.; Fernandes, T. R. C.; Machado, A. S. Reis; Rangel, C. M.
he mission of Omnidea, a Portuguese SME is to perform leading edge R&D in innovative energy concepts. In collaboration with Research Institutes Omnidea is developing a technology based upon a regenerative energy storage cycle. In this cycle the recharge system converts CO2 into hydrocarbons using a renewable source of power. The discharge system produces electrical energy when hydrocarbons and oxygen from the recharge system are directly supplied to a device such as a Solid Oxide Fuel Cell (SOFC). This work focuses on the challenges involved in the task of bringing this technology closer to the market. A key feature of this technology is the use of copper which is known to have unique properties for converting CO2 electrochemically into hydrocarbons. The modification of copper electrodes with copper deposits to improve the catalytic activity and selectivity of the cathodes in the production of hydrocarbons in aqueous solvents is also described. Microalgae are one of the most promising sources for new food and functional food products, and can be used to enhance the nutritional value of foods, due to their well-balanced chemical composition. Knowing their physicochemical characteristics is fundamental for the selection of the most suitable microalgae to specific food technology applications and consequently successful novel foods development. The aim of this study is to screen the chemical composition (e.g., proteins, pigments, fatty acids) and thermogravimetry properties of five microalgae species with potential application in the food industry: Chlorella vulgaris (green and carotenogenic), Haematococcus pluvialis (carotenogenic), Spirulina maxima, Diacronema vlkianum and Isochrysis galbana. C. green and S. maxima presented high protein (38% and 44%, respectively), low fat content (5% and 4%, respectively). The carotenogenic C. vulgaris and H. pluvialis showed a higher carotenoid content, higher fat, low protein and better resistance to thermal treatment. D. vlkianum and I. galbana presented high protein (38–40%) and fat (18–24%) contents with PUFA's?3, mainly EPA and DHA. Finally, the results from microalgae chemical and thermal analysis were grouped and correlated through Principal Components Analysis (PCA) in order to determine which variables better define and differentiate them. Costa, M. Clara; Assunção, Ana; Costa, Ana M. Rosa da; Nogueira, C. A.; Paiva, A. P.
Liquid-liquid extraction of platinum(IV) from chloride media was carried out using N,N'-dimethyl-N,N'-dicyclohexyltetradecylmalonamide (DMDCHTDMA) in 1,2-dichloroethane. Platinum can be effectively extracted by DMDCHTDMA without addition of tin(II) chloride, since extraction percentages (%E) of 88% and 99% have been achieved from 6 M and 8 M HCl, respectively. Moreover, platinum can be successfully stripped through a simple contact with a 1 M HCl solution. The effect of some experimental parameters such as equilibration time, diluent, extractant and HCl concentrations was systematically investigated. The loading capacity of DMDCHTDMA was also evaluated. Data obtained from successive extraction-stripping cycles suggest a good stability pattern of DMDCHTDMA. Preliminary extraction data achieved with single metal ion solutions pointed out to a possible separation of platinum(IV) from palladium(II). Afonso, S. S.; Teixeira, A. P. S.; Martins, M. R.; Teixeira, Fátima C.
Bisphosphonates (BPs) are a group of compounds derived from bisphosphonic acid and their salts, with a P-C-P structure which confers higher metabolic and chemical stability. They are an important class of drugs with therapeutic applications in the treatment of diseases of bone mineral metabolism such as osteoporosis and Paget's disease. These compounds have also shown activity in other areas, such as antitumor and antiparasitic activities.1 The use of these compounds in therapy is affected by their low oral bioavailability due to low lipophilicity and the presence of charges at physiological pH. The improvement of their pharmacokinetic properties can be obtained by the use of ester derivatives as prodrugs.2 In this work, we present the synthesis and characterization of various phosphonic acids and esters derivatives of indazole (Figure 1). The biological activity of these compounds were evaluated including their toxicity, antioxidant and antimicrobial activities.3 Bisphosphonic acid derivatives showed broad spectra with high activity against Gram – and Gram + pathogenic and commensal bacteria. These compounds also present antioxidant activity by the â-carotene/linoleic acid method. Paralta, Eduardo; Ribeiro, Luís F.
The groundwater resources study of the Alentejo region (CCR Alentejo, 1996-1999) was carried out in several places namely Beja's Gabbros Aquifer to assess water quality for public supply and agriculture. A geostatistical study of nitrate diffuse pollution in the vicinities of Beja based on probabilistical technics was developed in the context of a MSc Thesis in co-operation with CVRM - Geosystems Center. Several basic statistics between July 1997 and July 2000 were computed. Indicator variograms for nitrate ion with 50 mg/l cut-off are presented and Indicator Kriging is performed based on parameters fitted to spherical models. Risk and probability maps used in environmental management are also included. 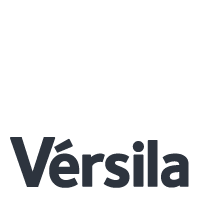 Travassos, Maria Antónia; Sá, A. I. Correia de; Luz, Paulo P. da; Rangel, C. M.
Road traffic is one of the transportation sectors with faster growth and also one of the most important emitters of greenhouse gases (GHGs). In this work, an analysis of the environmental benefits resulting from the introduction of hydrogen on road transport in Portugal is made. Impact is analyzed mainly looking at the pollutant emissions provided by road transport at the point of use. Emissions associated to road transport have been estimated using the software COPERT (version 4), since it provides a detailed methodology for each specific pollutant related to the vehicle fleet of a region or country, as well as the driving conditions and fuel consumption. Passenger cars, light duty vehicles and public transport buses are the vehicles categories in which the hydrogen technology is foreseen. The hydrogen penetration rates (moderate and high) are extracted from the European Project HYWAYS. Two trends are then considered, which give penetration rates of 40.0 % and 74.5 % in 2050 for the moderate and high scenarios respectively. Costa, Maria do Rosário; Santos, M. Teresa; Diamantino, Teresa C.